up in a nice, Christian home, I read a few parenting books, and heard quite a few messages on biblical parenting. So I was set. The kids I would raise would be fortunate to have me as their father. Then, a funny thing happened. I actually became a dad for the first time. First came Grace, then Daniel Jr, then Emma, and finally Lily. I’m now a father of four and I know much less about parenting than I did before I became a parent. I’ve realized that there are certain things about fatherhood you can only learn until you actually become a dad. 1) You are much less patient than you think you are. Oh, you think you’re a loving, patient, sweet peach of man. You’ll be the guy playing catch for hours and carefully instructing your son how to ride his bike. You’ll never get short with your kids and you’ll always know the perfect balance between discipline and love. Right. Keep dreaming, my friend. There’s nothing like a live child in your midst to bring out your selfishness, anger, and impatience. 2) Many times you’ll have no clue what to do. But you still have to pretend you are in control. Like when your three-year old melts down the grocery store. The books say to do one thing, but there is a certain paralysis that takes place when it’s your little child kicking, screaming, and not getting along with the shopping program. Over time, you’ll figure out your child and the best method, but there will be a lot of trial and error along the way. Mostly error. 3) You’ll realize that minivans are secretly awesome. Before I had kids I swore on a stack of John Wayne collector’s edition DVD’s that I would never be seen behind the wheel of a minivan. Then we had our 2nd child and I suddenly saw the awesomeness of minivans. I now have four children and the Chrysler Town and Country keeps getting cooler. You can go for long trips and play DVD’s. You can fold the seats down into the floor and haul large pieces of furniture that your wife thinks you need. Trust me on this one. As soon as kid #2 comes, you’ll find yourself wandering over to cars.com to compare the best prices on minivans. 4) You’ll probably not get six continuous hours of good sleep ever again. And if you do, you’ll never admit it because it will make your wife mad for the broken up sleep she got when she got up and took care of the teething child. Dads perfect the art of pretending like they are stone cold sleepers who can’t be easily woke. But really you’re just trying to do it long enough so she’ll get up and take care of the situation. 5) There are singular moments of joy so indescribable they can only be experienced. There are moments of pride and joy that make every single hard parenting experience seem easy. There are times of closeness and love that will make your heart burst with rapture. Sometimes I just sit back and look at my four children and cannot believe God allowed me to be their dad. If you’re a dad, you know what I mean. 6) Your presence is more important than you know. You may not think you’re a good dad. You may not think you’re all that useful around the house. But your kids need your presence more than you know. 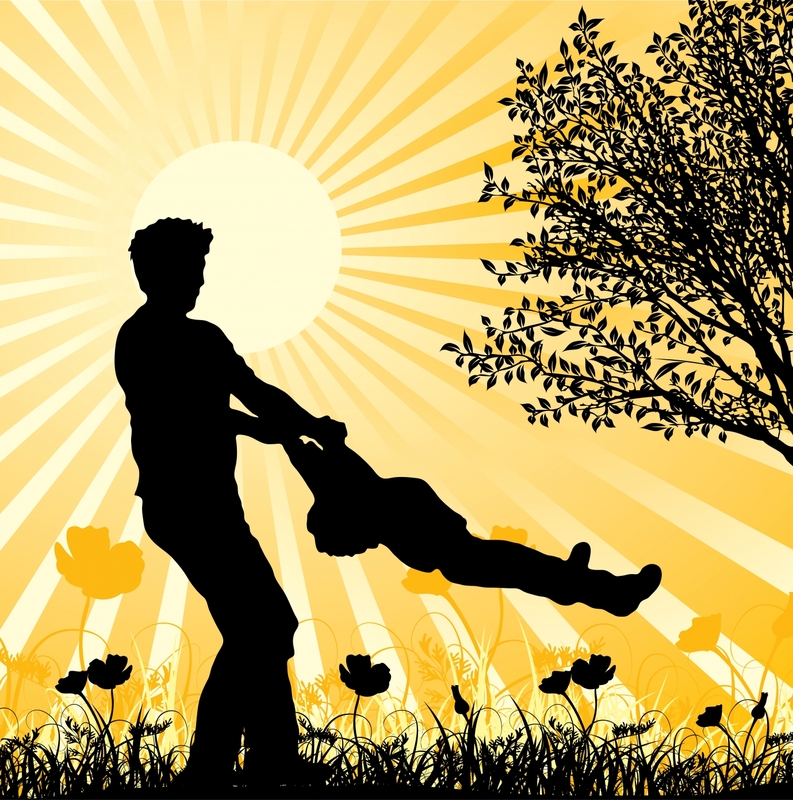 God wove fatherhood into the fabric of humanity. Your consistency and faithfulness to your wife and to your children will speak volumes to your children about the consistency and faithfulness of their Heavenly Father. 7) You need to repeat the same words over and over to your children. It’s not enough to be a model Christian. It’s not enough to provide and be present. Your kids must hear, over and over again how much you love and accept them. I try every single day to tell each one of my children that I love them. There have been times I’ve flippantly said something to my oldest daughter and it crushed her feelings. I’ve had to apologize and seek forgiveness. My words matter to her.